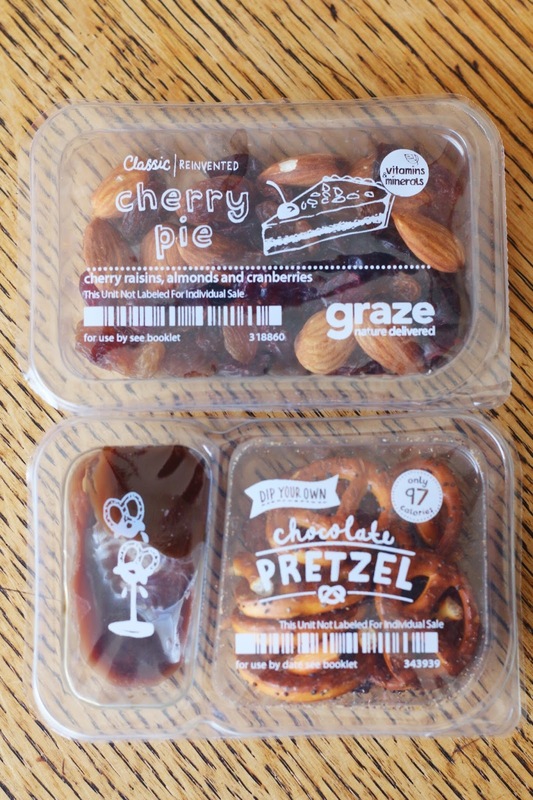 Evolution of a Foodie: Graze Nibblebox 3 Review and Free Box Code! 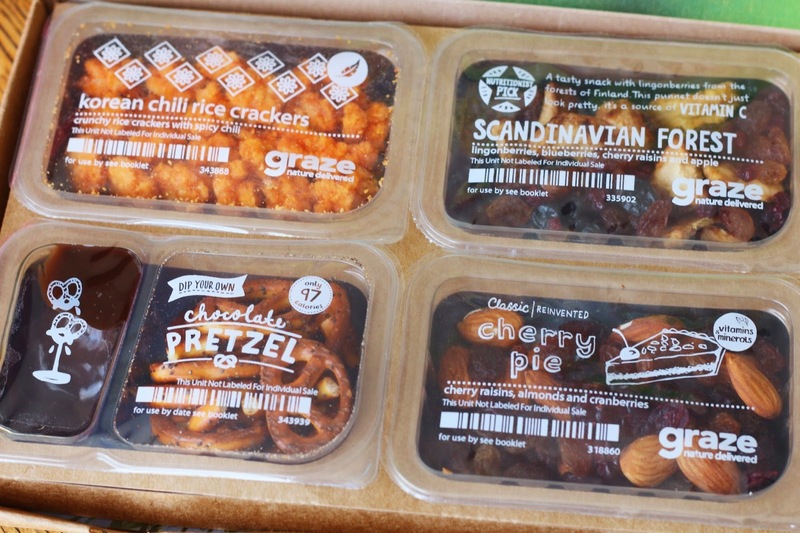 Graze Nibblebox 3 Review and Free Box Code! Cherry Pie - This really did taste like cherry pie when you ate all the components together. Like I've said before, I really like these flavor-infused raisins they have. Chocolate Pretzel - My first snack/dip combo, and it was good! Chocolate didn't taste amazing, but it was good. Tasted kind of like store bought chocolate frosting. Korean Chili Rice Crackers - These were probably my favorite of the bunch, I don't know if I can resist a spicy crunchy snack! My only gripe with these were they seemed a little greasy. 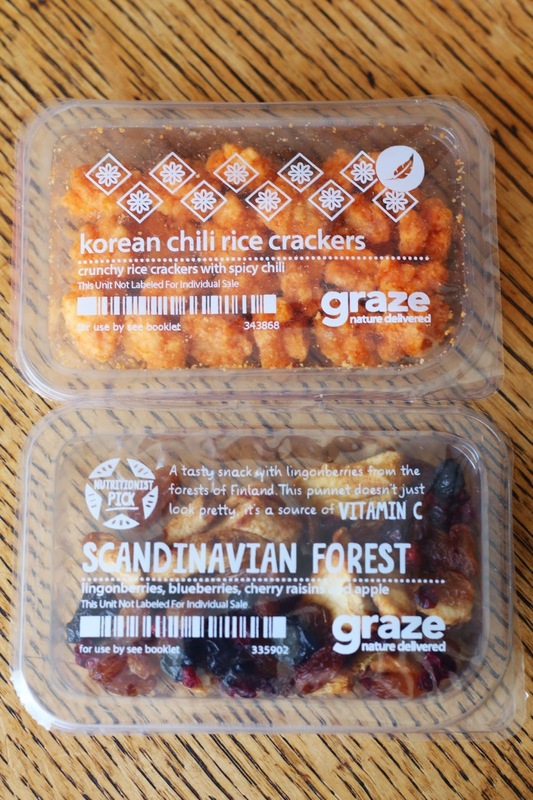 Scandinavian Forest - Also very good, more flavor-infused raisins! Can't get enough of those.